The digital currency giant has decreased by more than 27 percent since January 1, with its latest slide also impacting blockchain technology stocks. It’s been a rough go lately for cryptocurrency bitcoin as the digital currency giant plummeted below the $10,000 mark on Wednesday (January 17) for the first time since November 30th of last year. Bitcoin dipped to as low as $9,200.12 on Wednesday before making a slight recover to $10,392.47. As of 1.57 p.m. EST, the digital currency was priced at $9,885.80–a 27 percent decrease since $13,585.49 on January 1, according to data from Coindesk. Since December, however, bitcoin is down nearly 50 percent from its all-time high of $19,783.21, although it’s been on the decline ever since. As for the reasoning to bitcoin’s price decline? Some reports suggest the slip comes thanks to reports indicating South Korea will be putting its fists down on cryptocurrency trading, although there’s been no word as to how that will happen yet. On the other hand, roughly 220,000 people have signed a petition asking the government to reconsider the ban on cryptocurrencies. According to the online petition seen on the South Korean presidential office website, the petition states that investing is the responsibility of “an individual,” and that damage “caused by unreasonable investment” isn’t limited to virtual money, but stocks as well, the Google translation reads. “Our people have been able to make a happy dream that they have never had in Korea because of virtual money,” the Google translation of the petition said. That being said, this type of volatility isn’t abnormal for cryptocurrencies, particularly at the beginning of a new year. Blockchain technology stocks have also felt the ramifications of bitcoin’s latest slide. The first pure-play blockchain company on the NASDAQ, Riot Blockchain (NASDAQ:RIOT) dipped 2.84 percent on Wednesday to $17.76 at market close, although after hours trading bumped the stock price back up 1.63 percent to $18.05. First Bitcoin Capital (OTCMKTS:BITCF), the first blockchain-focused public company in the US was also on the decline, dipping 5.71 percent to $0.72 at market close on Wednesday. 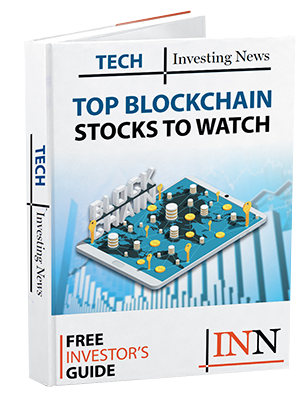 Long Blockchain (NASDAQ:LBCC), a holding company operating through its subsidiary Long Island Brand Beverages, perhaps took the biggest stumble, dropping over 14 percent to $4.21. So, does this mean the bitcoin and blockchain bubbles are over? Certainly not. When it comes to blockchain in particular, the sector is much more than the technology behind cryptocurrencies. In 2018 more industries are poised to adapt blockchain technologies–particularly the healthcare industry–while more than 60 percent of global banks have started backing blockchain. In terms of bitcoin, as Mondrus said above volatility during this time of year isn’t out of the ordinary–so hold tight, investors, the worst will be over soon.